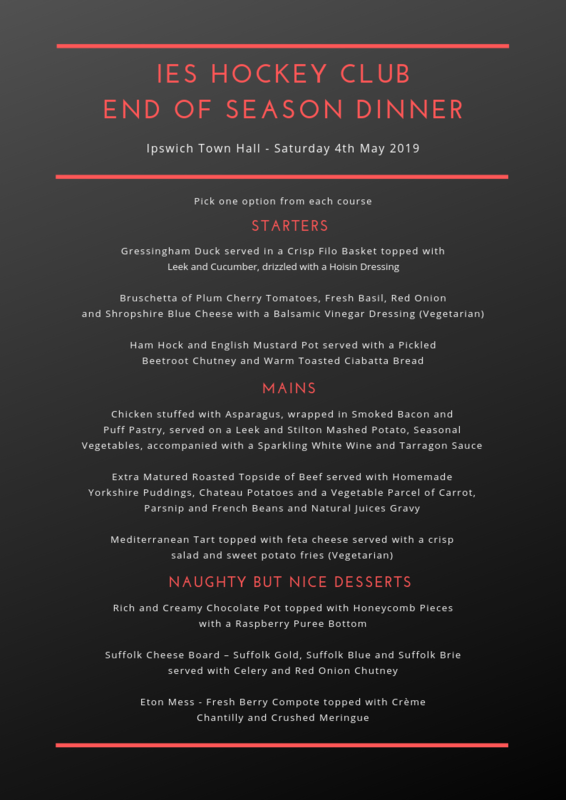 Our end of season dinner is on Saturday 4th May. Details on how to pay for your ticket(s) are at the end of the survey. 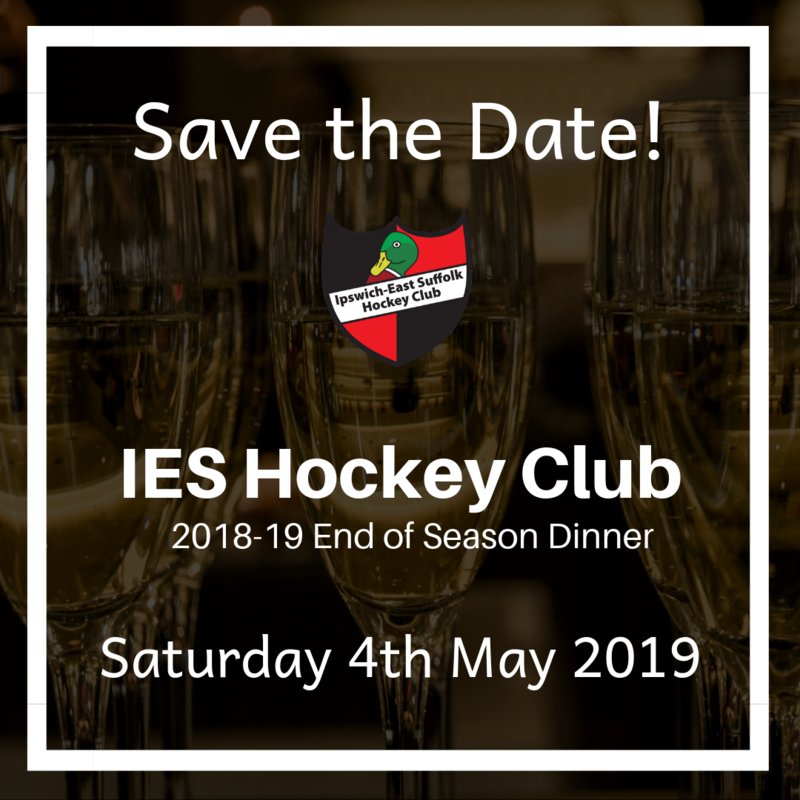 End of Season Dinner – Save the Date! 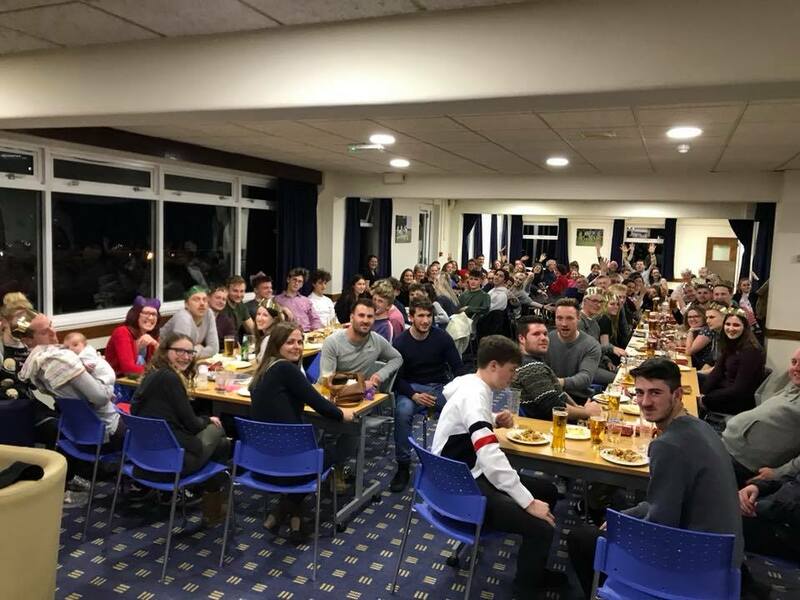 Whilst it might seem a little early to be thinking ahead to the end of the season, we are pleased to announce the date for the end of season dinner! 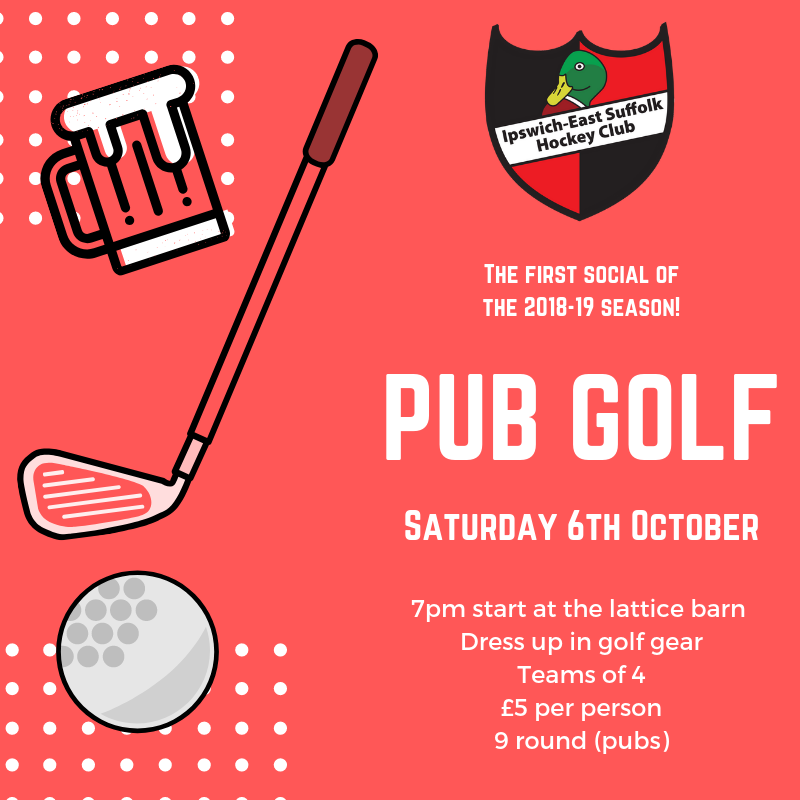 The first social event of the 2018-19 is pub golf! 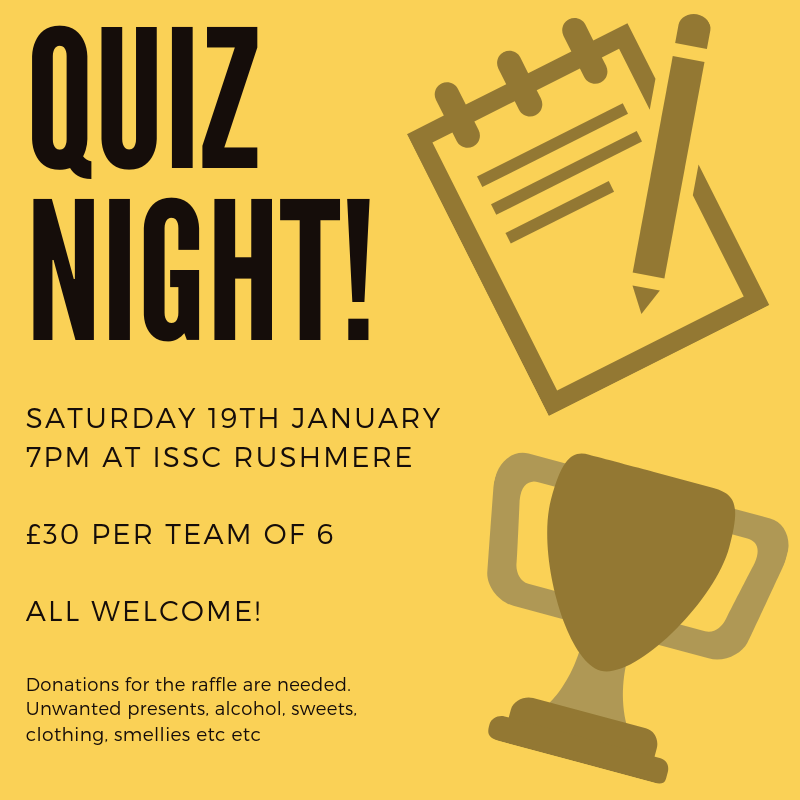 A firm favourite, this event involves dressing up in golfing attire and completing 9 rounds (pubs) with a different drink in each pub. 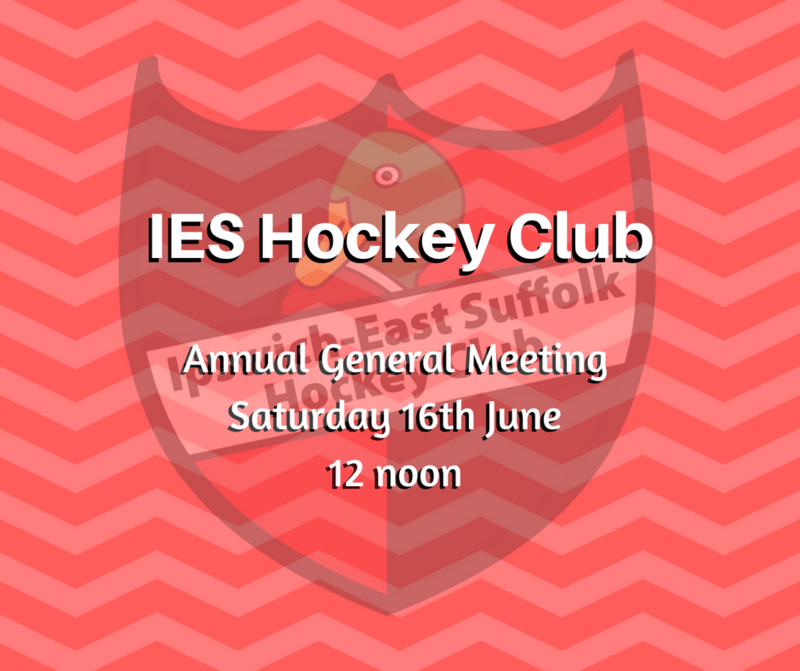 The IES annual general meeting (AGM) is being held on Saturday 16th June. 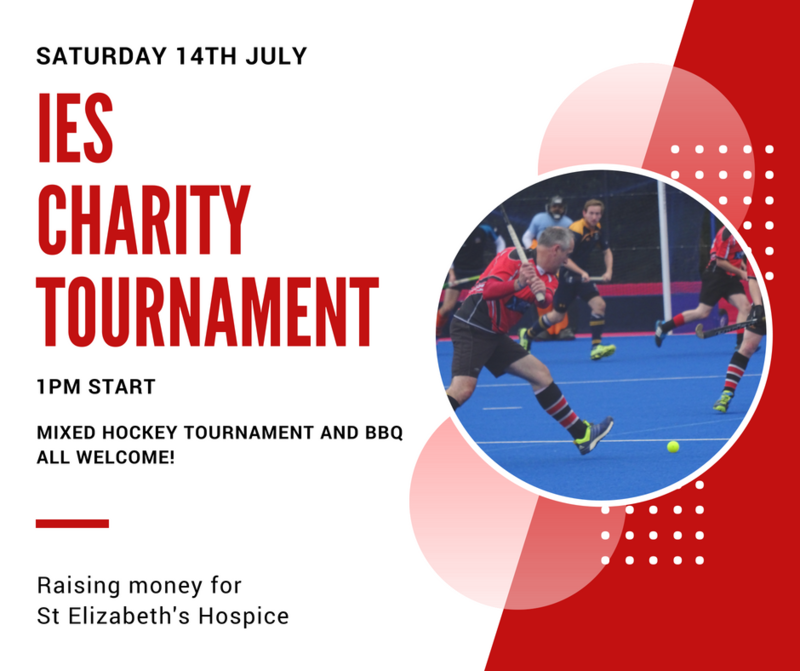 We are changing the format this year- we will hold the AGM at ISSC as usual but will also have a BBQ and some hockey afterwards to try and make it more of a social event. Please do try and attend. 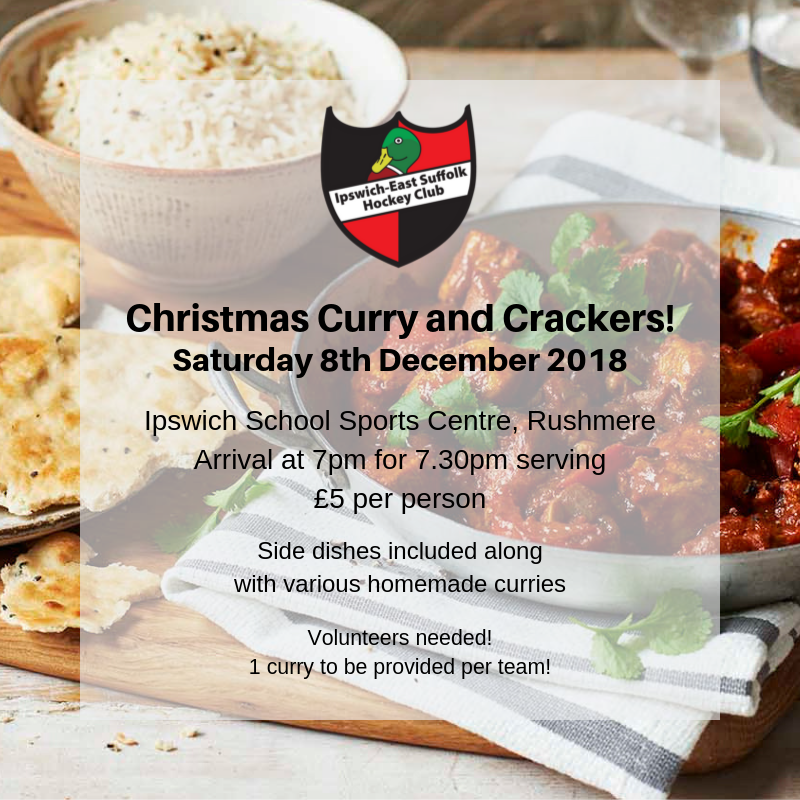 It starts at 12pm at Ipswich School Sports Centre, Rushmere. 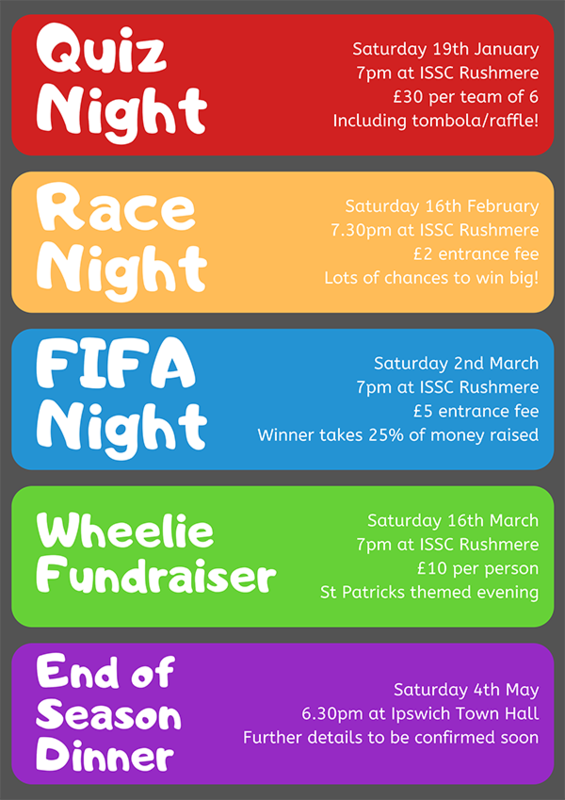 The AGM will be held in the sports hall and a pop up bar will be available (as the main bar is being refurbished). Hope to see you there! End of Season Dinner Tickets Now Available! 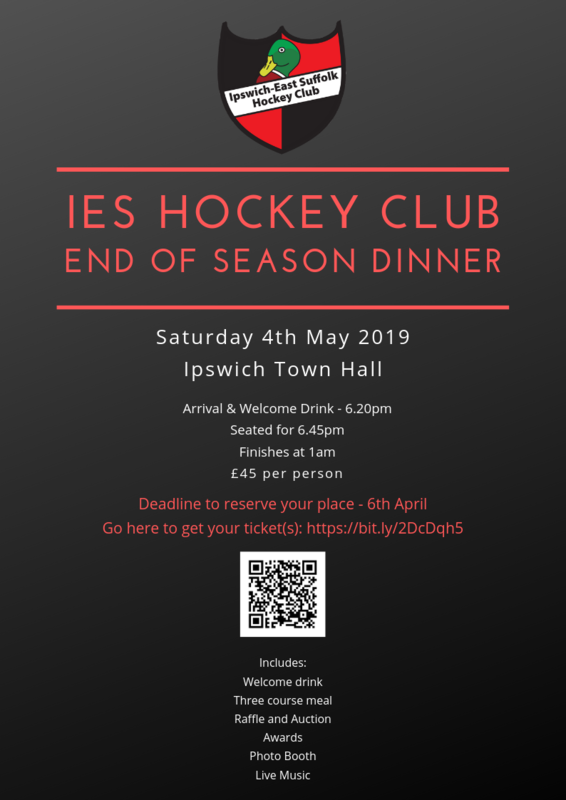 This year’s end of season dinner is on Saturday 14th April at Ipswich Town Hall. Tickets are now available! 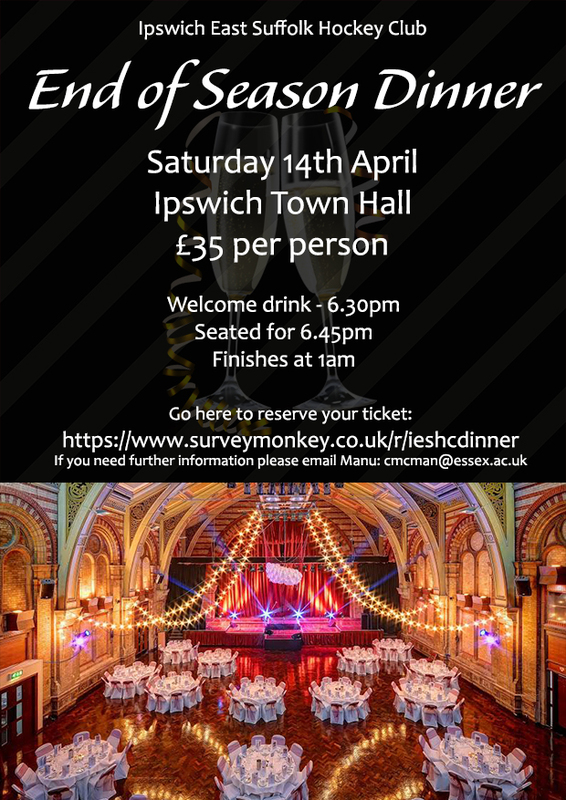 Make sure you reserve your ticket by filling in the survey found here: https://www.surveymonkey.com/r/ieshcdinner Tickets are sold on a first come, first served basis so don’t miss out! Thank you to everyone who attended Curry and Crackers this year! It was a very successful evening- we even had to put more tables out to fit everyone in! We hope everyone enjoyed the evening, Thank you to everyone who helped by cooking curries- the food was delicious!